My wife was watching “Bridget Jones’ Diary” last night (which meant I missed Ukraine vs Sweden) and I caught a commercial break with the Richmond Ham commercial. It features a naked farmer eating a ham sandwich in an idealised rural landscape populated by naturists. The proposition? 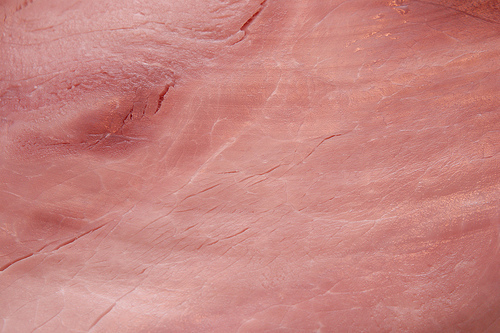 It’s the only ham in the UK made from 100% natural ingredients. So it’s “as nature intended”. Cue get your kit off. I was working with Cotswold Outdoor, the outdoor equipment retailer, last week. I half heartedly came up with a “back to nature” idea with naked hikers (something I believe that the Germans are quite into). They smiled weakly, and said “we’ve thought of doing that before, but never seriously”. I wasn’t surprised, as such an obvious attention getting device is so….well…obvious. Not to mention silly. But when those cheeky Irish folk at Richmond were pitched the idea by ad agency Quiet Storm (don’t you just love the oxymoronic name – it’s so cool it could almost be the name of a band) they fell for it big time. The result? A sad genetically modified rehash of the Danepak naturist commercial and the singing farmers rapping for Yeo Valley. Such a desperate attempt to grab attention makes me suspect that the product itself isn’t that great. Define “natural ingredients”. And it looks pretty processed to me – the slices are square and when did you last see a square pig? Or is this what you have to do these days to get any form of awareness? They should have used the idea for their range of sausages – now that would get attention! ...aaah but then that would have been too obvious!